Greetings friends and fellow crafters. 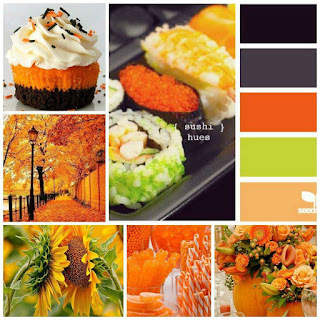 LeeAnn here today with my take on the Kennedy Grace Designs October Mood Board. If you are not familiar with mood boards they are great jumping points for a project, whether you use one of the images as the inspiration or the color palette alone. For my project today I decided to use the color palette, starting with the black and going from there. 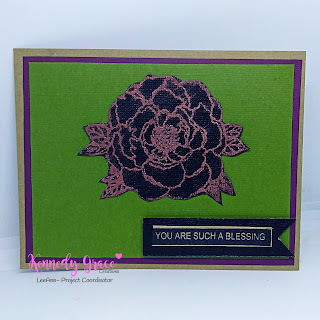 Using the Just A Rose Stamp Set, I stamped the Rose image using VersaMark clear ink, I then sprinkled Perfect Pearls in Copper over the image and brushed off any excess. I then fussy cut around the image to use it for my project. I then prepared my layers for the card base. my main base is Kraft cardstock in a2 size. my next layer which is purple was trimmed to 4" x 5.25", and then the green trimmed to 3.75" x 5". 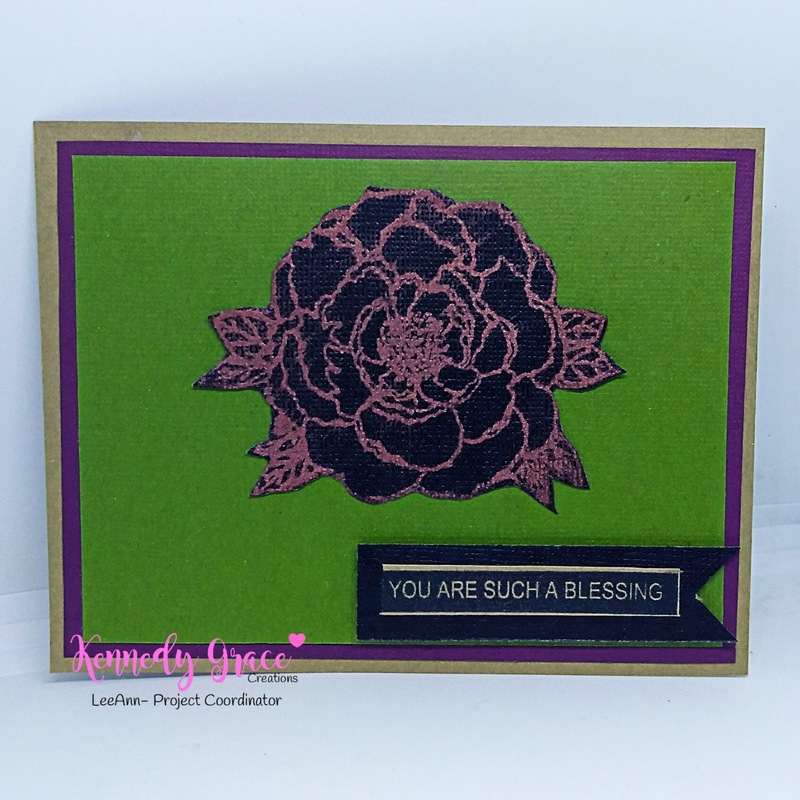 I used Tear Tape to adhere the layers together as well as the rose. I used a piece of black cardstock to make a fish tail banner, I stamped the sentiment using Memento Tuxedo Black on Kraft Cardstock, adhered the sentiment using the Tear Tape and the banner with foam adhesive tape. With that my project was complete. I really hope you have enjoyed my project today. Please stop by the Kennedy Grace Creations Shop to see the other great stamps and sequin mixes available today. Be sure to stop by our blog to see the inspiration the rest of the team is bringing your way.